Dolly – The cloned Sheep She is the result of research conducted by Dr. Ian Wilmut at the Roslin Institute in Edinburgh, Scotland. Scientific world was in a shock yesterday when researchers defied Mother Nature by cloning a mammal that could potentially open the door towards copying human beings. 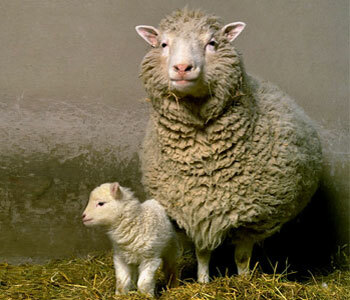 Dolly the sheep, as the first successful mammal to be cloned from an adult cell, is by far the world's most famous clone. However, cloning phenomenon has existed in nature since the dawn of life. From asexual bacteria to budding in hydra, clones are all around us and are fundamentally no different to other organisms. A clone has the same DNA sequence as its parent and so they are genetically similar. In 1996, cloning was revolutionized when Ian Wilmut and his colleagues at the Roslin Institute in Edinburgh, Scotland, successfully cloned a sheep named Dolly. Dolly was the first cloned mammal. Multitude clones had been produced before in the lab before Dolly, including mice, frogs, and cows, which had all been cloned from the DNA from embryos. Dolly was remarkable in being the first mammal to be cloned from an adult cell. This was a major scientific achievement as it demonstrated that the DNA from adult cells, despite having specialized as one particular type of cell, can be used to create an entire organism. Dolly (5th July 1996 – 14th February 2003) was a female domestic sheep, and the first mammal to be cloned from an adult somatic cell, using the process of nuclear transfer. She is the result of research conducted by Dr. Ian Wilmut at the Roslin Institute in Edinburgh, Scotland. Dolly the sheep, was produced as part of research into producing medicines in the milk. The feat opens the door to cloning prize cattle and animals used to make health products, like human blood clotting factors for hemophiliacs. Let's learn more about its reproduction and development. Cloning procedure of Dolly An ordinary cell was used to replace the nucleus of an egg cell, so all of Dolly’s cells had identical DNA to the one parent that donated the cell. This form of cloning produced a single genetically identical offspring. Animal cloning from an adult cell is much more critical than from an embryonic cell. So when scientists working at the Roslin Institute in Scotland produced Dolly, the only lamb born from 277 attempts, it was a major news story around the world. To produce Dolly, scientists used an udder cell (An udder cell is one of the cells found in a female mammal's udder, which is the location of the milk glands. 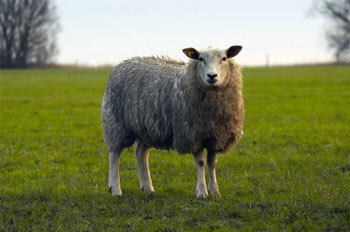 Dolly, the cloned sheep, was formed using the nucleus of an udder cell from another sheep of her breed.) from a six-year-old Finn Dorset white sheep. They had to find a way to 'reprogram' the udder cells - to keep them alive but stop them growing – which they achieved by altering the growth medium (the ‘soup’ in which the cells were kept alive). Then they injected the cell into an unfertilized egg cell which had had its nucleus removed, and made the cells fuse by using electrical pulses. The unfertilized egg cell came from a Scottish Blackface ewe (is the most common breed of domestic sheep). 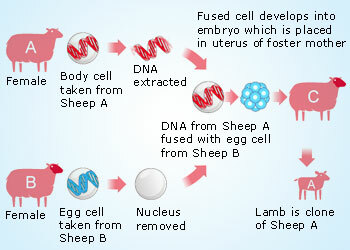 When the research team had managed to fuse the nucleus from the adult white sheep cell with the egg cell from the black-faced sheep, they needed to make sure that the resulting cell would develop into an embryo. They cultured it for six or seven days to see if it divided and developed normally, before implanting it into a surrogate mother, another Scottish Blackface ewe. Dolly had a white face. Multiple attempts were done for the success of Dolly. 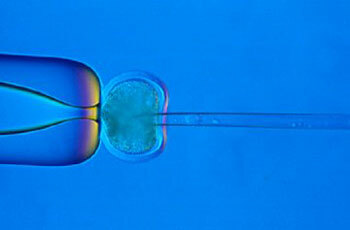 From 277 cell fusions, 29 early embryos developed and were implanted into 13 surrogate mothers. But only one pregnancy went to full term, and the 6.6 kg Finn Dorset lamb 6LLS (alias Dolly) was born after 148 days. Dolly lived a pampered existence at the Roslin Institute. She mated and produced normal offspring in the normal way, proving that such cloned animals can reproduce normally. Born on 5 July 1996, she was euthanized on February 14, 2003, aged six and a half. Generally, sheep can live to age 11 or 12, but Dolly suffered from arthritis in a hind leg joint and from sheep pulmonary adenomatosis, a virus-induced lung tumor that is common among sheep which are raised indoors. The length of DNA in the nucleus is far greater than the size of the compartment in which it is contained. The DNA in the nucleus is wrapped up into chromosomes which is known as DNA packing, which shorten each time the cell replicates. This meant that Dolly’s chromosomes were a little shorter than those of other sheep her age and her early ageing may reflect that she was raised from the nucleus of a 6-year old sheep. Dolly was also not entirely identical to her genetic mother because the mitochondria, the power plants of the cell that are kept outside the nucleus, were inherited from Dolly’s egg donor mother. Cloning sheep can help organ transplants Cloning dolly the sheep gave the idea that experts, such as scientists, could help endangered species by genetically engineering them so more of them come to life. Dolly the sheep was produced at the Roslin Institute as part of research into producing medicines in the milk of farm animals as the main objective. Cloning is the process of picking desired genes from DNA in order to ensure certain qualities. This new scientific advancement has gained a lot of heat from people all over the world. Many claim that it is morally wrong to manipulate nature. 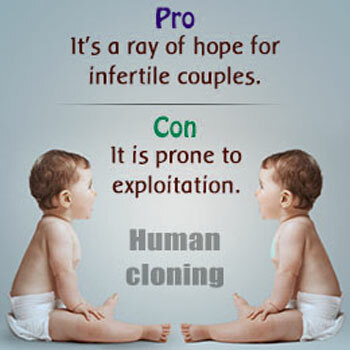 Let’s look closer at all of the advantage and disadvantages that genetic cloning has to offer. The main reason to clone plants or animals is to mass produce organisms with desired qualities, such as beautiful orchids or a genetically engineered animal -- for instance, sheep have been engineered to produce human insulin. In contrast, sexual reproduction (breeding) alone to mass produce these animals, then you would run the risk of breeding out the desired traits because sexual reproduction reshuffles the genetic deck of cards. Researchers have managed to transfer human genes that produce useful proteins into sheep and cows, so that they can produce, for instance, the blood clotting agent factor IX to treat hemophilia or alpha-1-antitrypsin to treat cystic fibrosis and other lung conditions. Inserting these genes into animals is a difficult and laborious process; cloning allows researchers to only do this once and clone the resulting transgenic animal to build up a breeding stock. Cloning technique that fixes mitochondrial genes could treat genetic diseases The advances made through cloning animals have led to a potential new therapy to prevent mitochondrial diseases in humans being passed from mother to child. After Dolly was born, other sheep have been cloned from adult cells, many other animals like cats, pigs, goats and cattle etc are cloned successfully. Improvements and advances in the technique have meant that the cloning of animals is becoming cheaper and more reliable. This has created a market for commercial services offering to clone pets or elite breeding livestock, but still with a $100,000 price-tag. The advances made through cloning animals have led to a potential new therapy to prevent mitochondrial diseases in humans being passed from mother to child. Mitochondrial disease is a chronic, genetic disorder that occurs when the mitochondria of the cell fail to produce enough energy for cell or organ function. 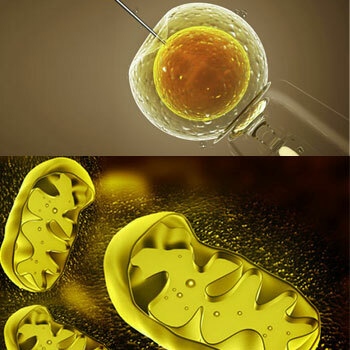 About 1 in 6000 people is born with faulty mitochondria, which can result in diseases like muscular dystrophy. To prevent this, genetic material from the embryo is extracted and placed in an egg cell donated by another woman, which contains functioning mitochondria. This is the same process as used in cloning of embryonic cells of animals. Without this intervention, the faulty mitochondria are certain to pass on to the next generation. repopulating endangered or even extinct species. The creation of identical copies of animals – through cloning, it is possible to create genetically identical animals for organ or tissue transplantation; and the creation of identical copies of only the best animal population. Cloning is a highly controversial practice that has begun taking off in the animal world. Whatever the reasons may be, the new cloning technologies have sparked many ethical debates among scientists, politicians and the general public. There are benefits as well as potential drawbacks in cloning animals. Several governments have considered or enacted legislation to slow down, limit or ban cloning experiments outright. It is clear that cloning will be a part of our lives in the future, but the course of this technology has yet to be determined.